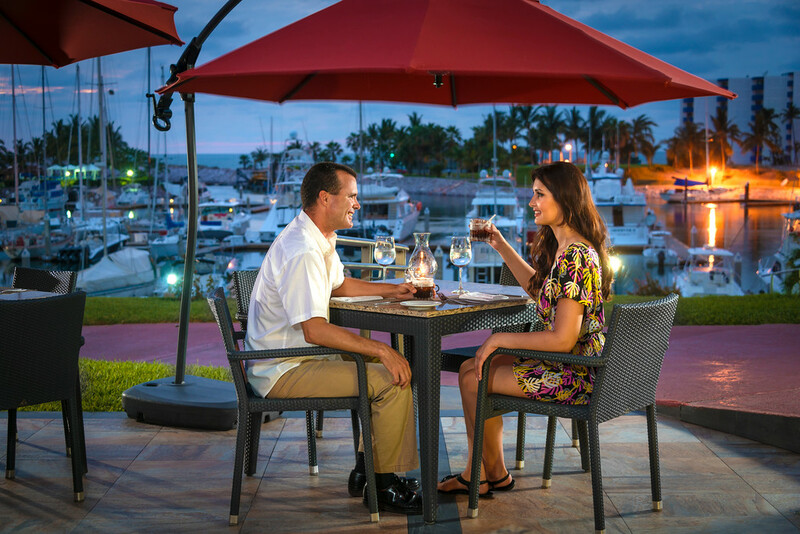 Enjoy a fresh sea food dinner overlooking our private Marina while you admire the beautiful sunset or the lights of the stars. Excelente servicio, incomparable. Alimentos de primerísima calidad. todo exquisito. Capt Rodolfo is is friendly, efficient and tireless !!! The food is always great ! Fabulous food, service and entertainment!! As an 'all inclusive' patron, value for money is hard to judge. The music was great too. Delightful evening with very cordial and attentive wait staff. Food is very well prepared, however not enough selection if you are eating there weekly or twice weekly. We had a wonderful evening and excellent service. The food was impeccable. Will definitely visit again. Tomas our server never disappoints. Esmeralda keeps everyone happy. Eric is friendly and thoughtful. We love them all! Sometimes Cool and windy , however do have heaters. Thanks for the blankets. The breeze was a bit uncomfortable. A little cool with very little wind. The young lady/hostess is wonderful... friendly, helpful, nice. All the soups are creamy which is too many. Maybe one or two like seafood soup, tortilla soup, chicken soup. No cream. Food is very good. Food was excellent and service was great too. Evening entertainment was outstanding as well. Highly recommend this venue. Our meals were melt-in-your-mouth delicious! Beef medallions in pepper sauce so flavorful and tender, flaky salmon, and asparagus risotto cooked just right. Our waiter, Felix, was professional, friendly and funny. The timing of getting meals delivered used to be very slow. This time, we were served quickly and efficiently. To top things off, the band was amazing! (Compa??). Great, great talent in this band, vocally and instrumentally! 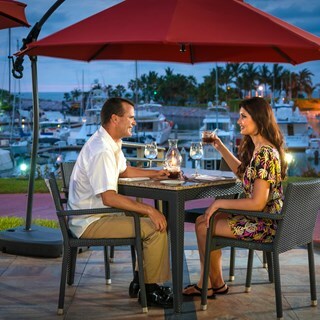 A wonderful dining experience with entertainment! Service and cuisine are always top notch. Lovely evening. Heaters were available for those who needed & also blankets for those who needed more warmth. The clarinetist was great and all of our party enjoyed the music. The food was great tasting and presentation was outstanding. My salad was almost too pretty to eat. It tasted even better than it looked. Wonderful evening overall.